Dog Word of the Day: What is an Alpha Dog? What is an alpha dog? Since alpha is the first letter of the Greek alphabet, the term “alpha dog” has come to denote a dog that within a “pack” is considered the first, the highest member in rank. Use of the term dates back to when wolves were studied and it was determined that the highest wolf in rank was the “alpha male.” The alpha male therefore made the rules and all other wolves were to submit to him. Since dogs are descended from wolves, it was determined that among dogs there must have also been a similar structure. However, studies in wolves were inaccurate at best and more recent studies have shown a totally different perspective. Read on to learn more about why usage of the term “alpha dog” is incorrect. Wolves have been studied for quite some time, and one of the first theories on the hierarchical structure of a wolf pack was based on the studies conducted by animal behaviorist Robert Shenkel. In his studies, Shenkel describes “violent rivalries” for a status order to be established and therefore competition for higher rank in the hierarchy. Further studies on wolf behavior in captivity were conducted and the researchers confirmed Shenkel’s findings, that indeed, wolves go through violent social struggles to gain “dominance”and that the winner of such social struggles is the “alpha wolf,” which ultimately keeps all other subordinate wolves in check. Because back in time, dog behavior was believed to be closely related to wolf behavior, it was therefore assumed that just like there was an “alpha wolf” in a pack, there must have been an “alpha dog” in a group of dogs. But it didn’t end here: use of the term and the belief that dogs had a strong desire to attain rank and become “alpha” propagated to dogs living in homes with their owners. 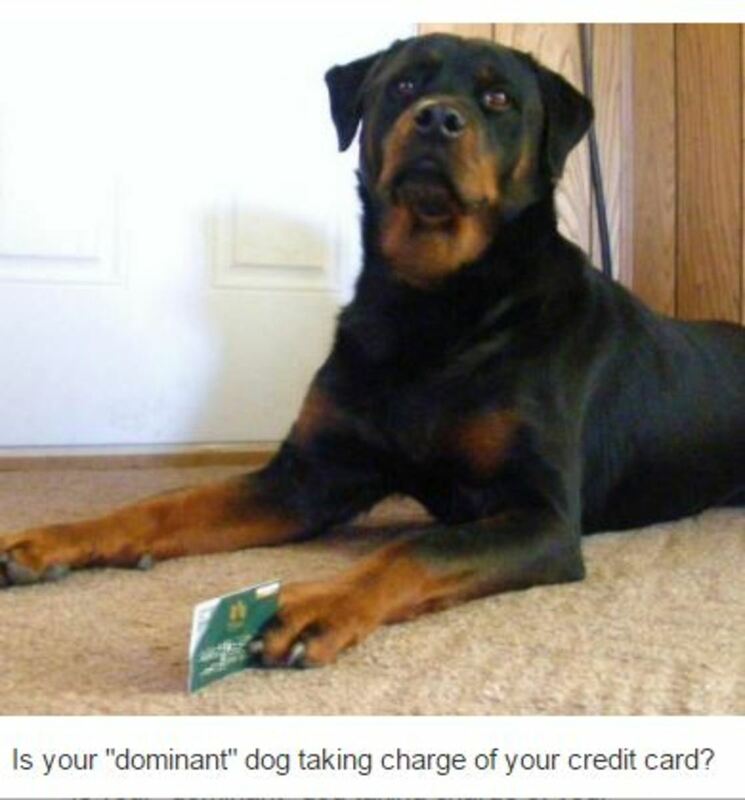 Dog owners and trainers therefore started to believe that the best way to prevent their dogs from becoming “alpha dogs” was by becoming an authoritarian figure themselves and forcing the dog into submission. This belief led to years of dominance-based training where humans felt compelled to imitate the behaviors that were thought to occur in wolves kept in captivity such as scruff shakes, muzzle grabs and alpha rolls. More extensive research on wolves were conducted by American biologist and wolf behavior expert, David Mech. Instead of studying wolves in captivity, David Mech studied wolves in a natural setting. Mech therefore spent 13 summers observing the interactions of wild wolves on Ellesmere Island, in North-West Canada. Mech’s observations brought a whole different picture to the table. 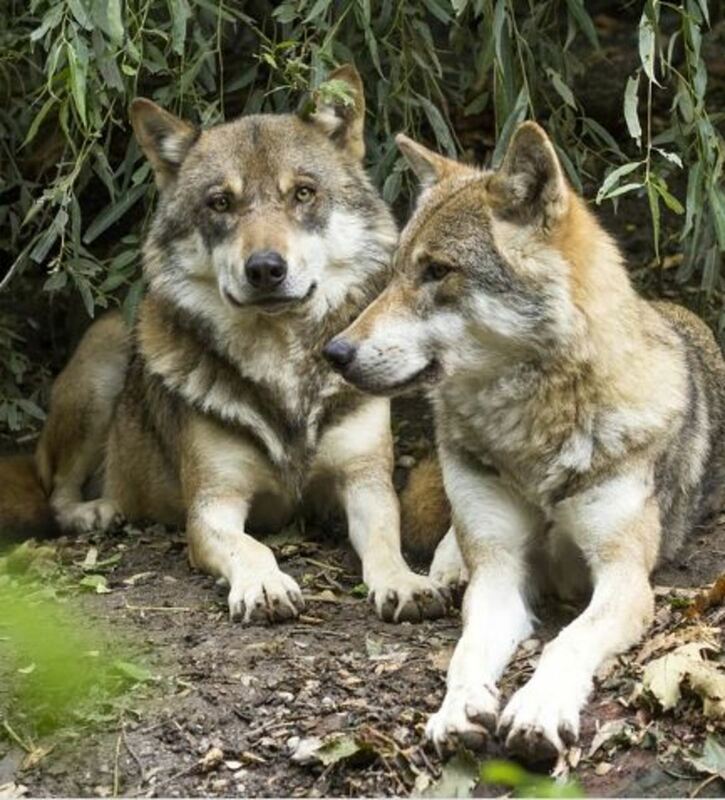 Unlike Shenkel’s observations, David Mech’s studies revealed that the leadership role was not carried out by a single authoritarian “alpha wolf” but rather by an “alpha pair” comprising a male and female wolf. Most importantly, the alpha pair’s role simply encompassed the role of being parents, and the whole pack was simply a family. David’s Mech revolutionary studies therefore paved the path to kinder training approaches since the social structure of wolves no longer reflected a single authoritarian figure vying for the alpha role, but rather closely resembled a family structure with the alpha pair providing guidance and care to their offspring. Shenkel’s studies, while well-researched, missed one important point: putting a bunch of non-related wolves in captivity led to behaviors that were unnatural and not observed in the wild. Mech’s studies therefore proved that wolves are actually a lot more peaceful than we have been led to believe. The use of the term “alpha wolf” is therefore in most cases applied incorrectly, and most of all, it shouldn’t apply to dogs considering that Shenkel’s studies on wolves are outdated, and most importantly, dogs are not wolves. Despite dogs and wolves sharing the same number of chromosomes (78 arranged in 39 pairs) and therefore 99.96 percent of their genes; this 0.04 percent difference is enough to set wolves and dogs distinctly apart. While genetically similar, we must therefore remember that there are at least fifteen thousand years (and possibly many more) separating dogs from wolves. Mech, L. David. 1999. Alpha status, dominance, and division of labor in wolf packs. Canadian Journal of Zoology 77:1196-1203. Jamestown, ND: Northern Prairie Wildlife Research Center Home Page. http://www.npwrc.usgs.gov/resource/2000/alstat/alstat.htm (Version 16MAY2000). Can Dogs Blow Their Nose Like People Do?